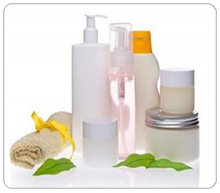 Raw materials for: Aromatherapy, Ayurveda, Cosmetic and Spa, Massage, Perfumery, Soap making, Ayurveda, and DIY enthusiasts. 1 Pure & Natural Essential Oils These are single source pure essential oils for therapeutic purposes. They are extracted either by cold-pressing, distillation, and CO2. 2 Specialty Essential Oils & Absolutes Premium selection ideal for cosmetic, and perfumery use. Most of these are from single source and can be therapeutic. They are either produce by 3rd distillation, enfleurage, natural blend of same specie or natural compound blend. 3 Absolutes In oil processing industry, these are technically essential oils extracted by organic solvent and or alcohol or gas as CO2. In aromatherapy definition, these are absolutes. 4 Hydrosols-Pure Distillates These are not commercial floral waters BUT pure distillates; a byproduct from hydro-distillation of essential oils. 5 Floral Waxes (See BOTANICALS) These are raw-pure waxes; by-products after extraction of the absolutes. 6 Selected Fragrances These are selected fragrances; most of which cannot be extracted from the plant material to make essential oil, hence compounding is necessary. 7 Natural Medium & Bases These are good media for essential oils for aroma massage, therapeutic skin care and perfumery. Available as therapeutic lotion base, premium carrier blend, and perfume oil base, and cosmetic alcohol. 6 Clary Sage Upcoming product! 9 Juniper Berry Upcoming product! 13 Lemon grass Upcoming product! We bring to the marketplace new ingredients that are natural, functional and efficacious. © 2016 Quality First International. All Rights Reserved.